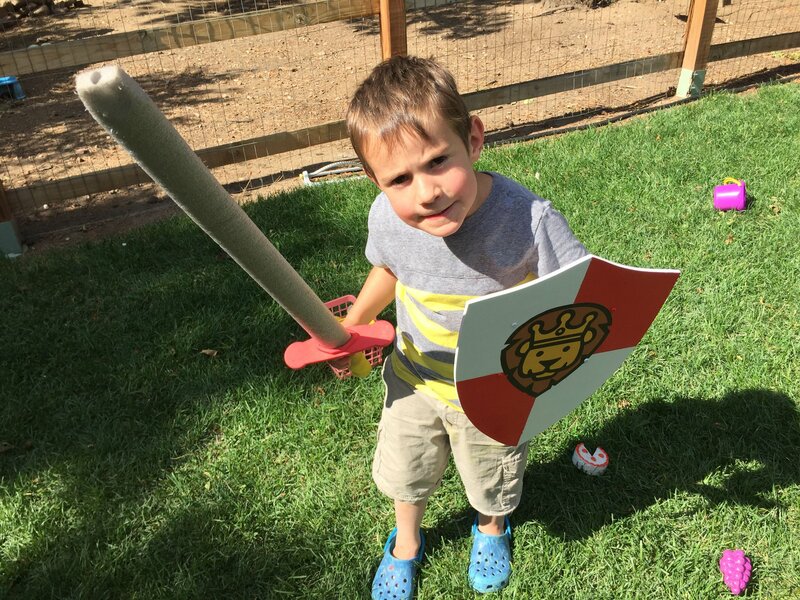 As I’ve discussed in previous posts, our sons love Duplo knights! 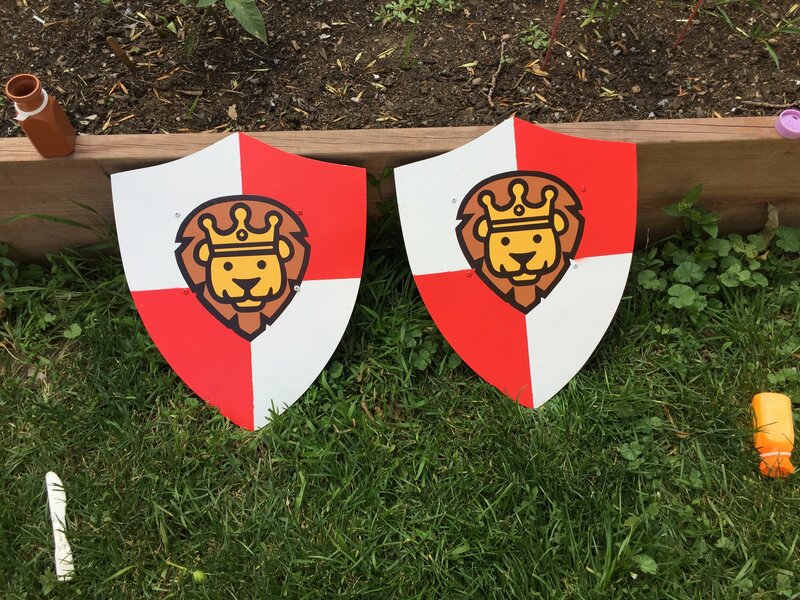 Because we wanted to convert their love for Duplo knights into an outdoor activity, we recently built wooden knight shields for them to play with outside. Below I’ll walk through the process of creating them. 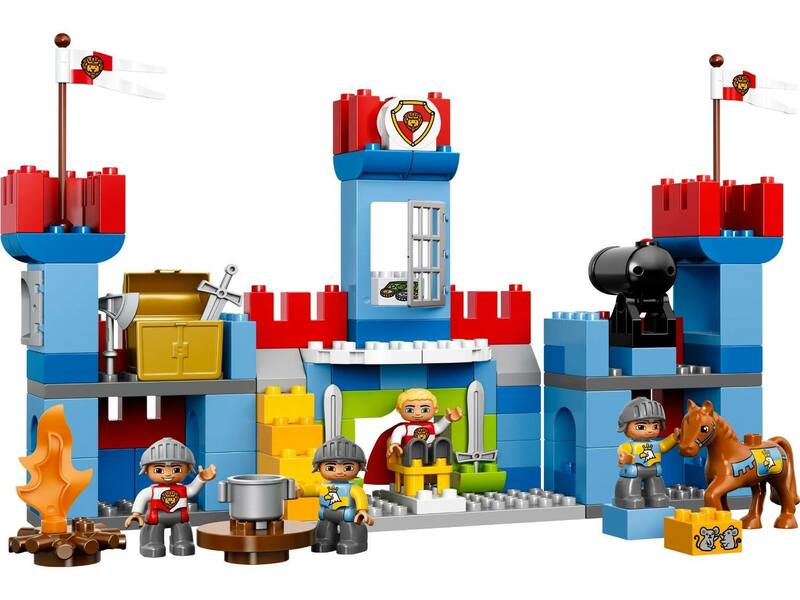 The inspiration for the shields comes from the recent Duplo castle sets that feature lion knight and eagle knight figures. Our sons have Duplo knights that have these lion emblems on their stomaches and they pretend they are knights. This is the LEGO DUPLO Big Royal Castle (10577) set. 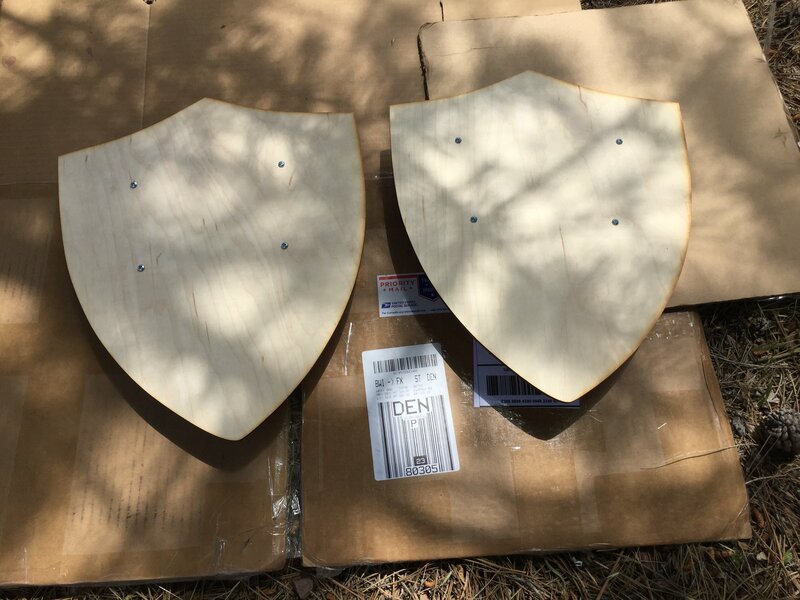 To start the project, I ordered two things online: laser-cut wooden shield shapes and custom lion head stickers. 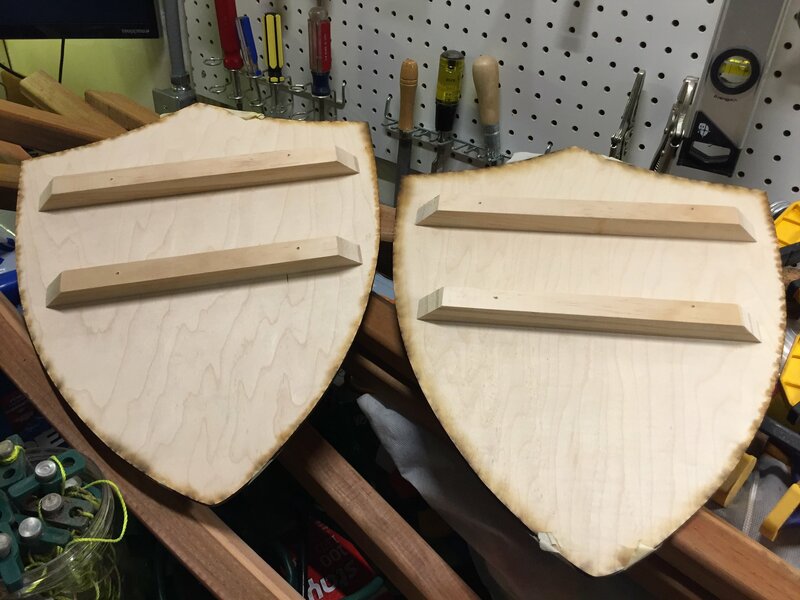 After some internet searching, I found these awesome laser-cut wooden shields on Etsy. 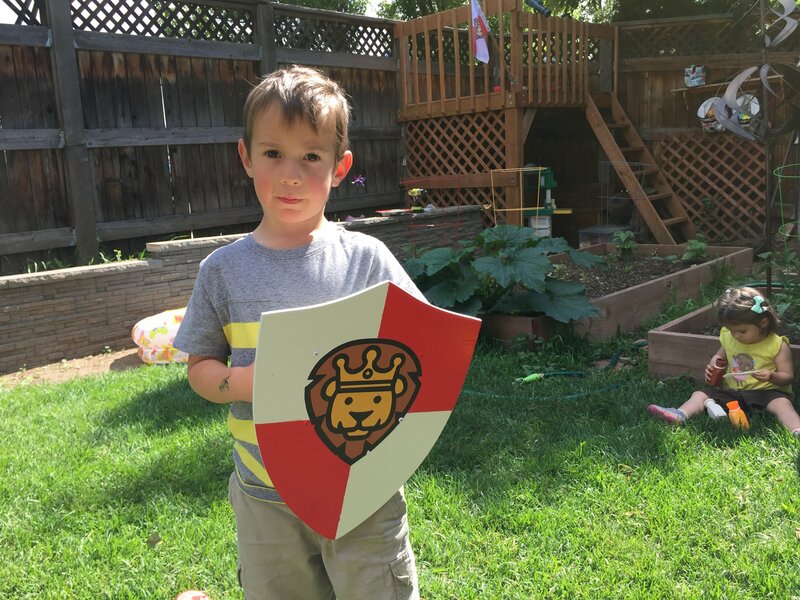 Because our kids are still pretty young (2 & 4 yo), I opted for the 15″ shield size. This size has worked out well and was the right choice! 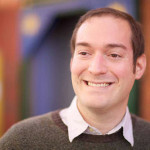 I also elected to get 1/4″ thickness so that the shields are plenty strong and can withstand a toddler’s beating. 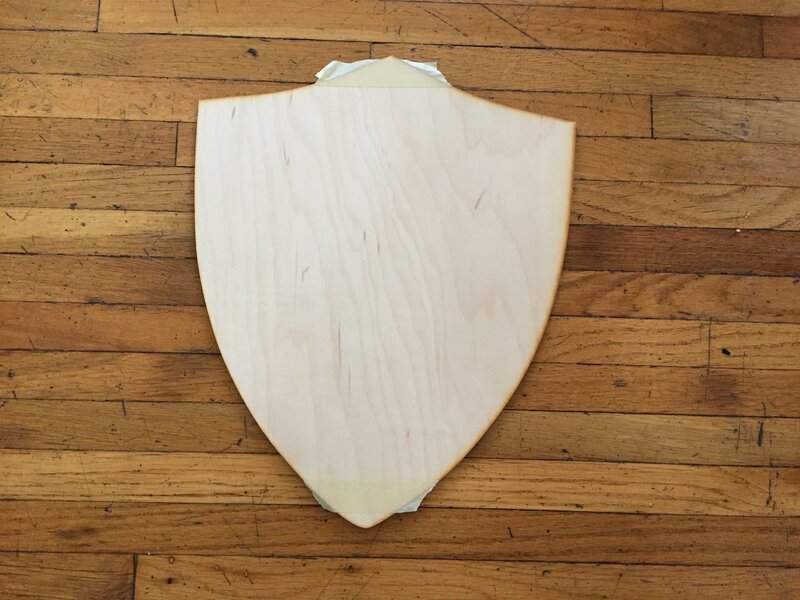 The 15″ laser-cut shield from Etsy. We bought two. The other custom element needed was the lion head sticker. I took a picture of the lion knight head and traced it in Adobe Illustrator. Then, I uploaded the traced artwork to an online sticker company and had them print two largish durable die-cut stickers. Next we added a second strip of wood to make an area for kid arms to go, and then added two handles. 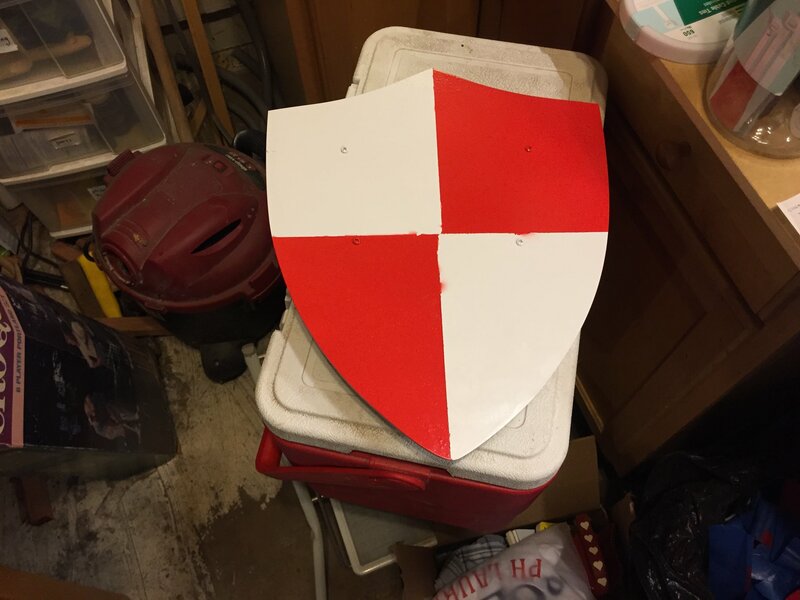 These shields are meant for the left arm of a wearer. If you wanted to make a right arm shield, you’d mirror the handle position. 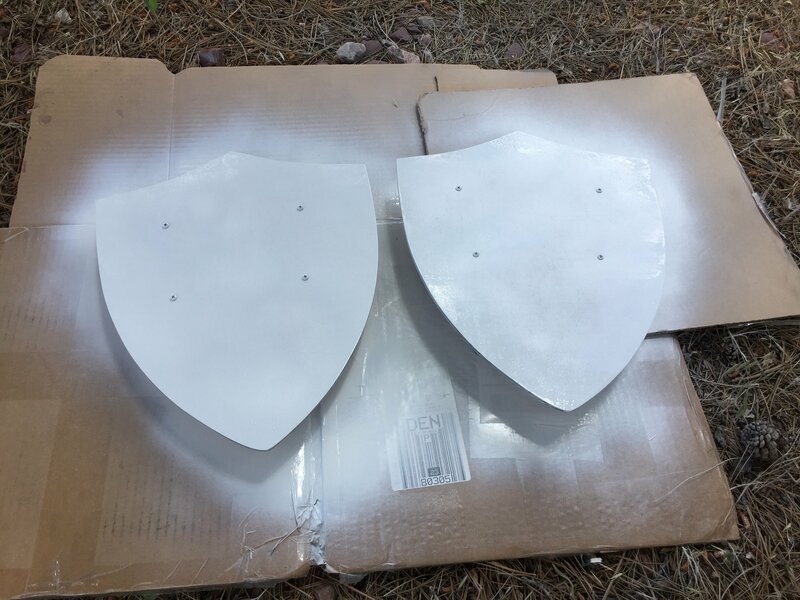 Next we brought the shields outside to paint! 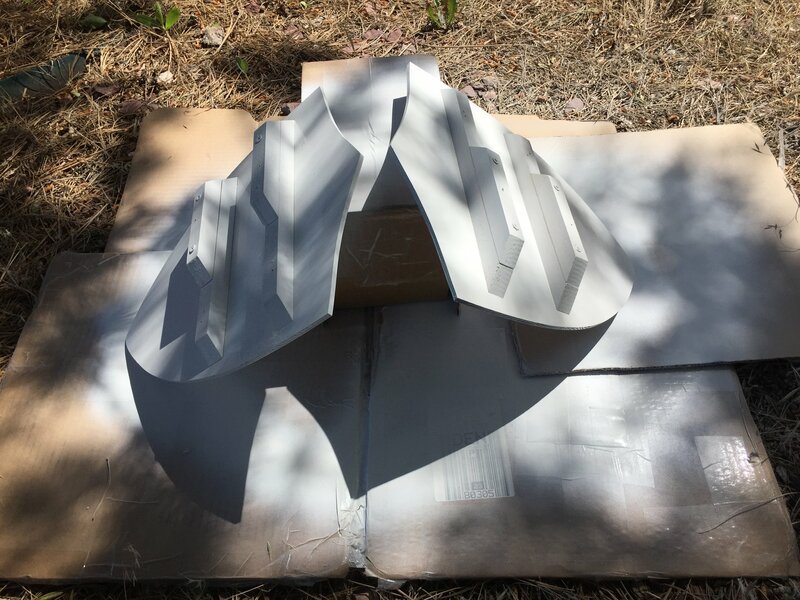 First were two coats of white paint. 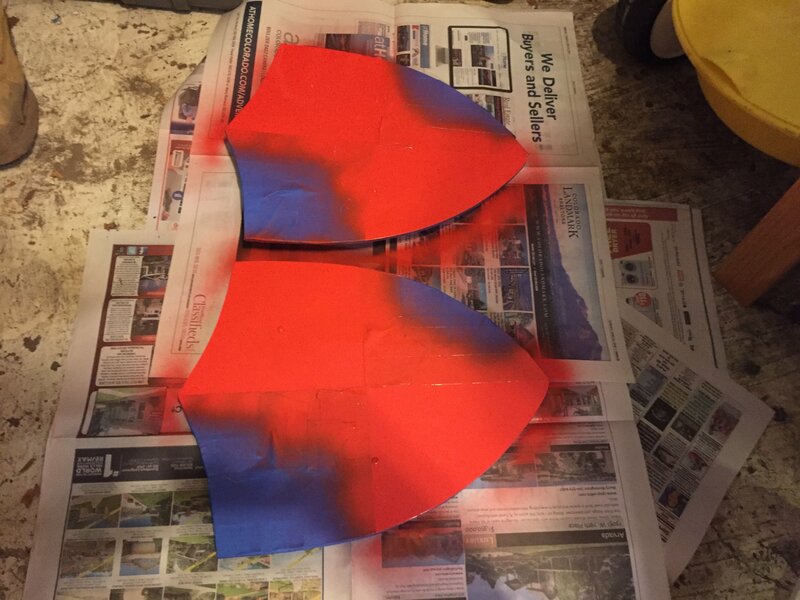 Then we used painters tape to mask out the part that was supposed to be red. We had to paint the red sections in the garage because it got rainy out! 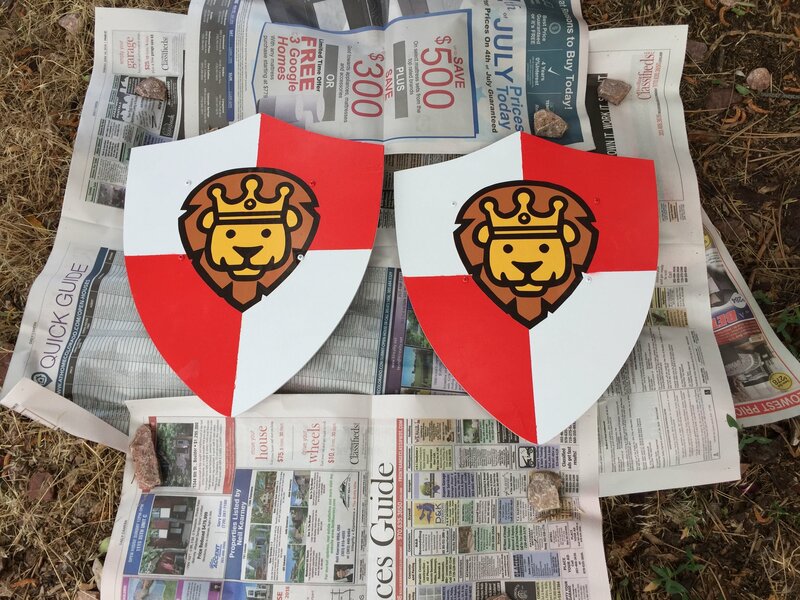 When the red paint was dried, the shields just needed the lion sticker added to the middle. I didn’t mind the paint edges being a little fuzzy because the sticker would cover that up. Our older son trying it on. Note the Lion Knight flag on the fort. Overall, it was a fun project! 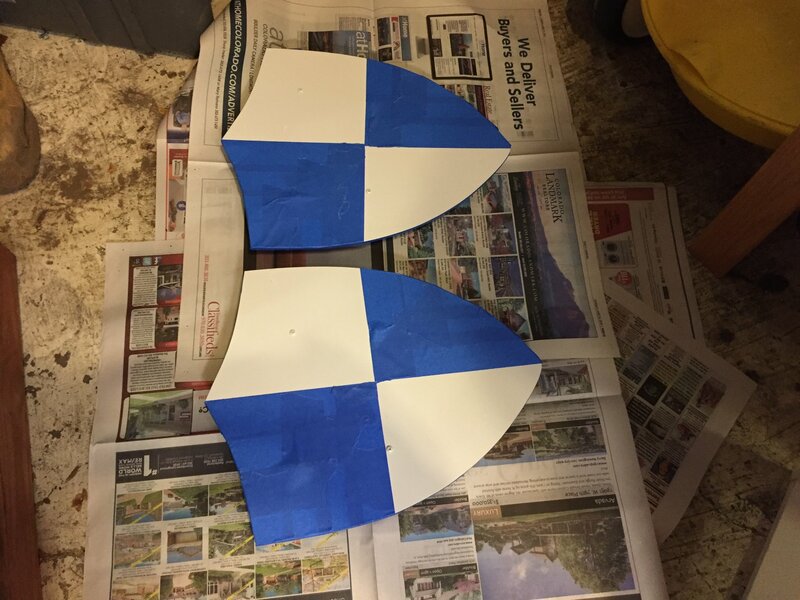 The kids enjoyed it and it was pretty easy, having started with pre-made shield cutouts. 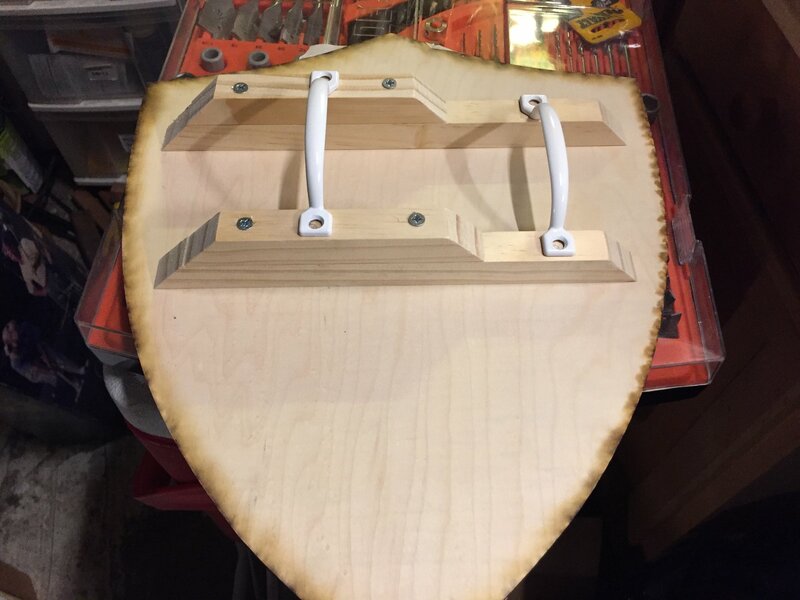 I’d love to see what other custom wooden shield designs you come up with! Please let us know below in the comments section.